Seasonic PRIME shows no signs of slowing down this year and it would be fair to say that they have ended the year on one of the best highs of their manufacturing career. There is no doubt in my mind that the Prime Titanium Fanless 600 Watt unit is one the finest power supplies I have analysed since KitGuru formed almost a decade ago. Seasonic invest a great deal of engineering ingenuity into their PRIME supplies, but the architecture of a power supply faces a more hostile environment when there is no direct cooling over the components inside. This is probably why Seasonic have appropriated years between the release of their last passively cooled solution and the Prime Titanium Fanless 600 watt we are reviewing today. Boy has it been worth the wait. They even managed to keep the physical size down which is the icing on the cake. I don’t like fan noise. I can’t say I ever have. As I have gotten older my tolerance for whirring fans has increasingly waned. Sure, you can say that you can mask the noise by wearing headphones, or by blasting speakers. But what if you don’t want to wear headphones, and aren’t gaming in the first place. I don’t mind wearing noise cancelling headphones on a train, but in my own home while working on my system? No thanks. 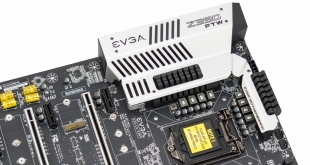 The power supply is the lifeforce of any system, whether gaming or otherwise. Getting the core of the system build started without the need for a fan just really turns me on, even before I make moves on the other components. 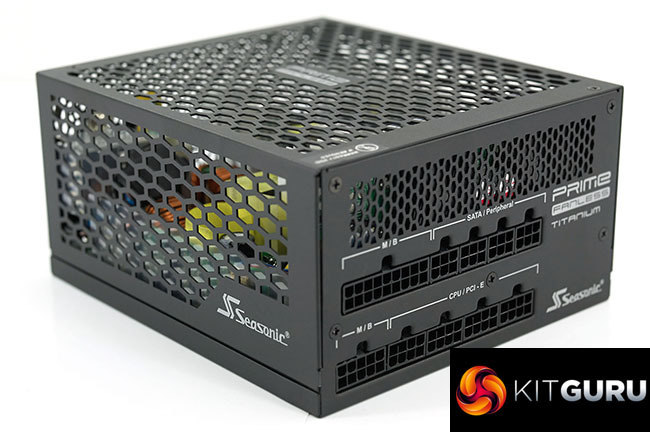 What does the Seasonic Prime Titanium Fanless 600 watt power supply bring to the table? With careful selection and high grade watercooling, it would be possible to build a powerful gaming rig that emits little, if any noise. A quality 600 watt power supply such as the Titanium Fanless would be able to handle a watercooled GTX 1080ti build without running into load problems. After I completed the technical analysis for this review I actually tested the power supply with an Nvidia Titan X, overclocked Intel i7 7700k, 16GB memory, 1TB SSD — and after two hours of gaming the power supply was only warm. The fact I knew this power supply could easily deliver 600 watts sustained for a long time was always in the back of my head. Technically this unit is bulletproof – load regulation is stellar, noise suppression is class leading and efficiency peaks at over 96% between 45-60% load. Its compact, doesn’t produce any noise and is built to the highest standards, with 105c Japanese capacitors used throughout. So the only issue I can possibly mention would be the price. In the United Kingdom it costs £199.99 inc vat. This is about the same price as a 1000 watt Platinum modular power supply. There can be no argument that is is expensive. I can say that if I was buying a power supply for a new system, this Titanum Fanless 600 watt unit would be at the very top of my shortlist. 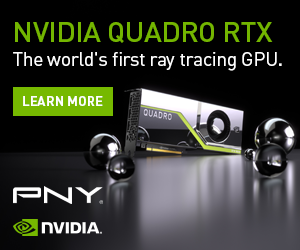 Its powerful enough to handle a high end gaming system or workstation and it produces no noise and very little heat due to the extraordinarily high efficiency. 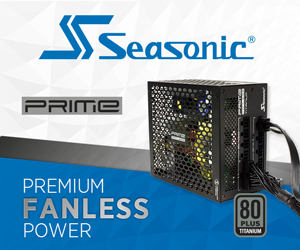 The Seasonic Prime Titanium Fanless 600 watt is a dream power supply targeting a niche audience. If you happen to be in this audience its been a long time coming – and with the class leading 12 year warranty Seasonic are ensuring no one should have any concerns about longevity. 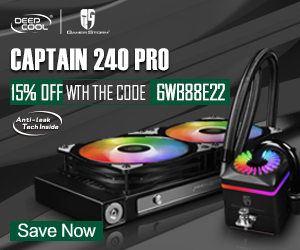 Buy from Overclockers UK for £199.99 Inc Vat HERE. 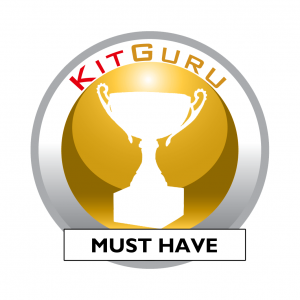 Kitguru says: This is a stunning, silent power supply that excels in every possible way. 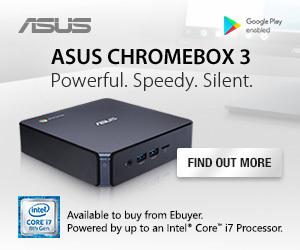 Its expensive, but it ticks every box in my list and delivers clean, stable power covered by a class leading 12 year warranty. I have already bought one myself. It is my product of the year 2017.